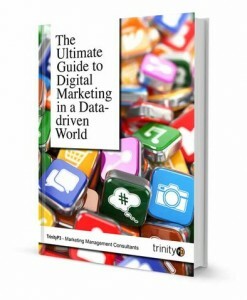 Welcome to Chapter 2 of The Ultimate Guide to Digital Marketing in a Data-driven World. If you missed Chapter 1 you can read it here. 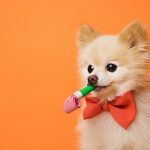 Now that you are armed with the history and background of search, and a deeper understanding of it, let’s be clear on what digital marketing actually is. For it seems that everyone we speak to has a different interpretation of it. Digital marketing is the practice of connecting companies, products and services (or brands) to consumers through digital means. This can involve a direct hard sell (e.g. e-commerce) or a softer sell (influential) through digital content. It is also the digital format of advertising, which interrupts consumers in their online journeys – hence display advertising, paid SEA, social media advertising, quick response codes, video etc. And lastly, digital marketing is measurable. The word digital comes from the same source as the words digit and digitus (the Latin word for finger), as fingers are often used for discrete counting. In fact, every digital action leaves a discrete digital fingerprint in the form of data. The recent explosion in digital activity, devices and technology has been accompanied by an equivalent explosion of data – as we mentioned in Chapter 1, the amount of global business data is doubling every 1.2 years. So it’s no wonder that you find yourself drowning in data, analytics and measurement reports. In Chapter 8, we will explore the various forms of digital marketing measurement to help you make more sense of your activity, and to demonstrate how to map it back to your business goals. 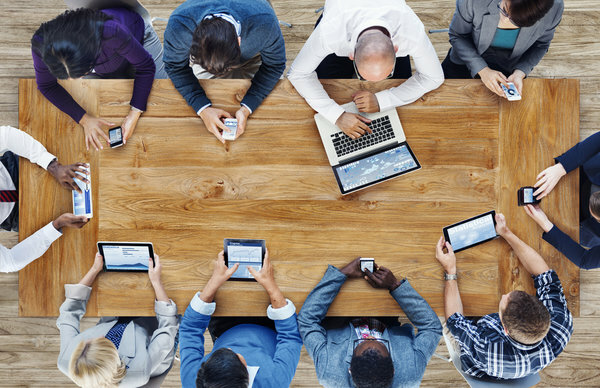 So how does digital marketing fit into the mix? Neatly, or is it a grey area? Unfortunately, it’s most often the latter. Digital marketing, by our definition, is a channel for connecting with consumers, just like TV, magazines, radio and catalogues. But we’ve also defined it as advertising and other content that can be distributed, just like a 30-second TV or radio ad. Yet digital is distinctive. It is interactive, not one-dimensional or one-way. Digital offers an opportunity for immediate interaction, as well as the continuation of a story or journey that transcends borders 24/7, 365 days of the year. The truth is that digital is a detailed, specialist area underpinned by a myriad formats, options and technologies, hence the confusion. So again, where does it fit in? Have you spotted the commonality? The world is going digital. Just as happened when the world became industrialised, it’s no longer a matter of digital marketing being seen in isolation in a silo, as it was during the first digital revolution. Rather, in this second digital revolution, it is critical to see digital as a form of marketing that either augments or modifies your current traditional activity. Now while this all sounds nice in theory, in practice, for marketers, there are still plenty of budgets being split by discipline. And digital marketing, by association, needs a box to fit in – although we would challenge you not to do this. But maybe we should think differently and move from product-centricity to customer-centricity, creating a ‘customer budget’. This would cover the various budget items under the 4Es and focus more on customer status, journeys, life cycles and levels of happiness with a brand. We’ll explore this a little further in Chapter 5. So to close out this chapter, what have we learned? How will it impact on or benefit your customer? How will it add to your bottom line? In the next chapter, we will explore how to put digital marketing into practice and how best to approach it from a resource perspective. You can read Chapter 3 here.